Honduran environmentalist and activist Berta Cáceres was killed in 2016. 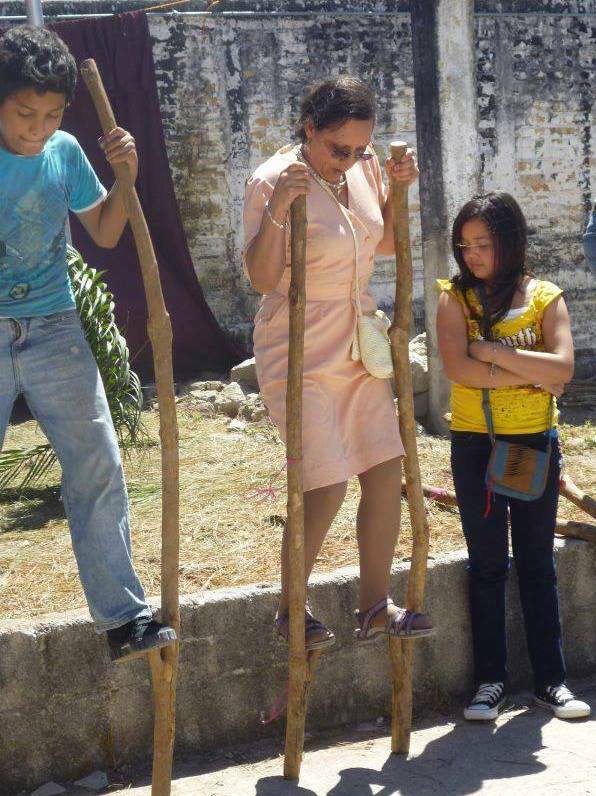 Her daughter Bertha Zúniga is picking up her mantle through her work for the indigenous Lenca community. Bertha Zúniga never thought she would grow up to help lead a movement that fights for the rights of the Lenca, the biggest indigenous group in Honduras. 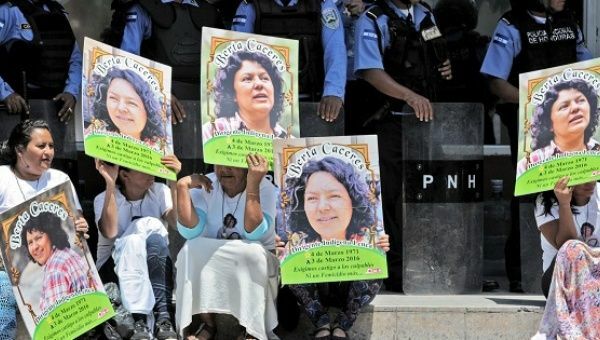 But the March 2016 assassination of her mother, the renowned activist and indigenous leader Berta Cáceres, inevitably changed the course of Zúniga’s life. A year before her murder, Cáceres won the prestigious Goldman Prize—known as “the Green Nobel”—for her work with the National Council of Popular and Indigenous Organizations of Honduras (COPINH). The organization campaigned against the construction of Agua Zarca, an hydroelectric dam that would divert the Gualcarque River in western Honduras. The project threatened to destroy natural habitats, affect access to water, and potentially displace local Lenca people. “The Lenca’s use of the river is based on satisfying daily needs that have to do with agriculture, fishing, the use of water for domestic and recreational activities,” Zúniga, 28, says, over the line from La Esperanza, the capital city of Intibucá, Honduras. Her mother’s dogged campaign against the dam triggered a wave of repression. Desarrollos Energéticos SA (DESA), the company behind the dam construction, even allegedly attempted to bribe Cáceres to stay silent. COPINH campaigners faced continuous harassment and death threats; Zúniga says that four community members were killed and four others nearly died in violent reprisals. According to Global Witness, at least 123 people taking a stand against dams, mines, logging, and agribusiness were killed between 2010 and 2016 in Honduras. That makes the country the deadliest place in the world for environmental activism. 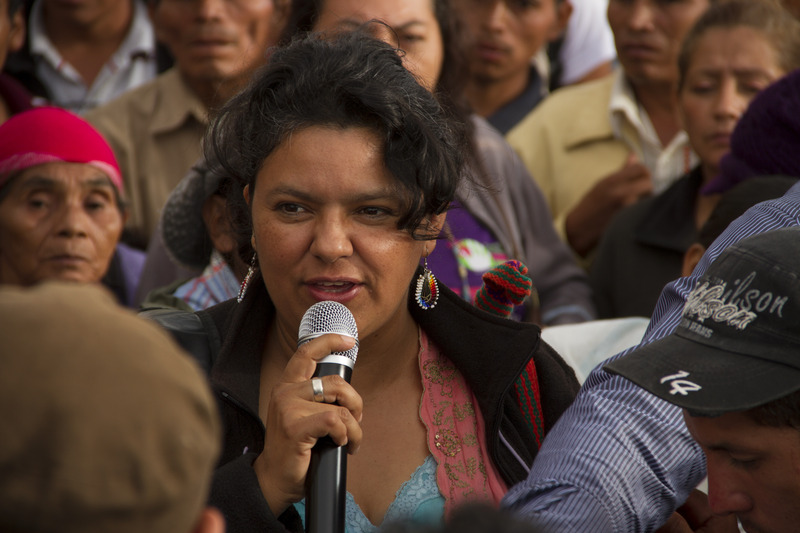 Berta Cáceres (center) was assassinated in 2016. Zúniga was completing a Master’s degree in Mexico City when she moved back home after her mother’s death. In November 2018, seven of eight suspects were convicted of the murder, including a former DESA security chief, two former US-trained military officers, and a DESA communities and environment manager. The trial however, was plagued with irregularities. The decision was deemed “partial justice,” as only the hitmen directly involved with the killing were sentenced. “We remain concerned that the intellectual authors and the financiers of the crime have still not been investigated, prosecuted and sanctioned,” UN experts said in a statement. All three foreign investors—including Dutch bank FMO, Finnish finance company FinnFund, and the Central American Bank of Economic Integration (CABEI)—have withdrawn from the project, putting the construction project on indefinite hold. At a memorial for Berta Caceres. Growing up as the children of a high-profile activist, Zúniga and her siblings were aware of their mother’s battle from an early age. “It was a demand of hers that we weren’t indifferent to the reality of Honduras, so one way or another we were always involved,” she says. COPINH was founded by Cáceres in 1993 out of an urgent need to recognize indigenous rights. Over time, its purpose has expanded to fight “a system of multiple oppressions that have different facets,” including sexism and racism, Zúniga says. “If they are not fought integrally, there will be no real freedom for the communities,” she adds. In May 2017, she assumed the role of COPINH coordinator, acting as a spokesperson and travelling abroad for meetings and conferences. Though she plays a key role in the organization, Zúniga emphasizes its collective nature by using nosotras (the feminine pronoun “we” in Spanish) to talk about her work, which she insists, has more to do with “multiplying [her mother]’s resistance” than being the “heiress” of Cáceres’ legacy. Tensions around the river can be traced back to the country’s political collapse in 2009. After a coup ousted the democratically-elected president José Manuel Zelaya, Congress issued laws that awarded concessions to hundreds of mining and energy ventures across the country, including projects in Lenca territories. Companies and local governments failed to seek the consent of affected communities—even though this is a requirement by law. Many experts believes that the US, which has a long history of intervention in Honduras, is partly to blame for the climate of human rights abuses and impunity. It took Cáceres’s murder to spark debate in the US over the administration’s investment in the country, including in training security forces meant to protect the population. In June 2016, a former Honduran soldier told Guardian journalist Nina Lakhani that the late activist’s name had been on the hit list of a US-trained military unit. The Berta Cáceres Human Rights in Honduras Act (HR 5474), which would suspend funding to Honduran security forces, was introduced by Democrat congressperson Hank Johnson in June of 2016, and again in March of 2017. Corruption runs deep in Honduran politics. The brother of Honduran president Juan Orlando Hernández was charged with drug trafficking in November, and members of his National Party have been accused of diverting almost $12 million in public funds. “US ‘development’ aid has not been proven to actually improve economic circumstances, and can support the same elite economic interests that are destroying livelihoods,” Frank explains. President Donald Trump has been a proponent of cutting aid to Honduras—not to end abuse, corruption, and judicial impunity, but because Honduran authorities have failed to stop migrant caravans headed for the US. Until that happens, COPINH is fighting to imagine a new development model in which humans and nature are viewed as precious in their own right and not “understood as commodities to exploit,” Zúniga adds. Seven men have been found guilty of conspiring to murder the Honduran indigenous environmentalist Berta Isabel Cáceres. An eighth defendant, Emerson Duarte Meza, was cleared and freed on Thursday. Cáceres, a winner of the Goldman prize for environmental defenders, was shot dead on 2 March 2016 – two days before her 45th birthday – after a long battle to stop construction of an internationally financed hydroelectric dam on the Gualcarque river, which the Lenca people consider sacred. Seven men were convicted of murder by a court in Tegucigalpa on Thursday: Sergio Ramón Rodríguez, the communities and environment manager for Desa, the company building the dam; Douglas Geovanny Bustillo, the former Desa security chief; Mariano Díaz Chávez, a former US-trained special forces major who served in the army with Bustillo; Henry Javier Hernández, a former special forces sergeant who served with Díaz; Edwin Rapalo; Edilson Duarte Meza; and Oscar Torres. Gustavo Castro, a Mexican environmentalist, was shot in the same attack but survived by playing dead. Hernández, Rapalo, Edilson Duarte and Torres were found guilty of the attempted murder of Castro. The other three defendants were found not guilty of that crime. In closing arguments, several defence teams had argued that the attack on Castro amounted only to assault as his injuries were not life-threatening. 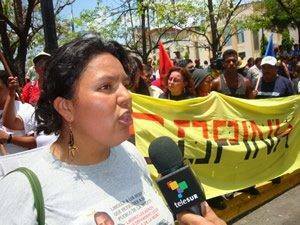 Cáceres, the coordinator of the Civic Council of Popular and Indigenous Organizations of Honduras (Copinh) was best known for her defence of indigenous territory and natural resources, but was also a respected political analyst, women’s rights defender and anti-capitalist campaigner. Her murder became a litmus test for a country where corruption and impunity reign – and for a justice system which has received millions of US and European dollars of international aid. But the criminal case has been plagued by allegations of negligence, secrecy and bias. The crime scene was contaminated before the forensic team arrived, and none of the bloody footprints left behind were identified. Two police officers have been charged with falsifying evidence in the case, which they deny. In October 2016, the original case file was stolen from a judge’s car after an apparent carjacking. Thursday’s verdict is unlikely to satisfy Cáceres’s family, colleagues and international legal observers who have frequently decried the narrow scope and secrecy surrounding the official investigation. In a highly contentious decision, lawyers representing the family and Castro were expelled from proceedings shortly before the trial started after calling for the judges to be recused for bias and abuse of authority. Over the course of the five-week trial, much of the evidence presented to the three judges was documentary, and admitted without being read in court, making it difficult to evaluate the strength of the case against each defendant. At one point, the trial was suspended for several days, but the court was reconvened a day early without informing the press, international observers, diplomatic representatives or the victims. Key phone data was presented to a virtually empty public gallery. Video transmission was banned in this case. María Santos Domínguez heard about the death of her good friend Berta Cáceres on the radio. She had just given birth to her youngest daughter, so she wasn’t with Cáceres the week she was murdered. “It was a double blow because we were very close, we worked together in the communities,” said Santos Domínguez, a coordinator for the Civic Council of Popular and Indigenous Organisations of Honduras (Copinh), the organisation Cáceres co-founded 24 years ago to stop the state selling off the country’s ancestral lands to multinational companies. Cáceres, who won the Goldman environmental prize for her work with Copinh, was gunned down in her home in the early hours of 3 March 2016. 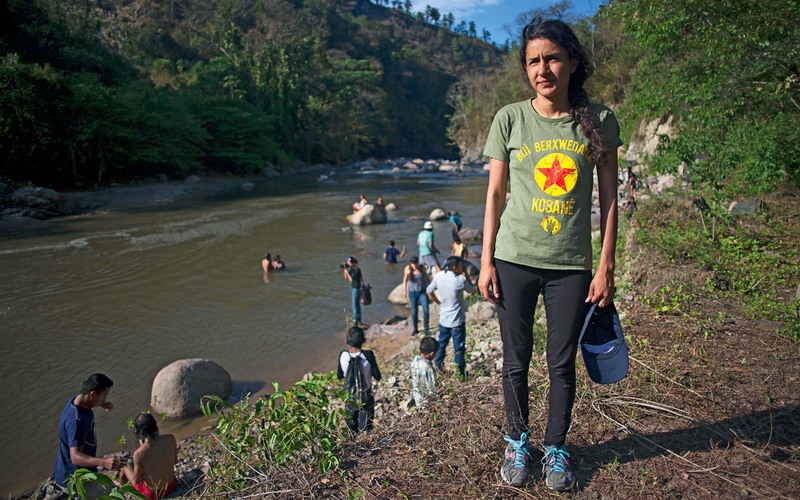 She had led the protest against the construction of the Agua Zarca hydroelectric dam in Río Blanco, western Honduras. Gustavo Castro Soto, a Mexican environmental activist, was injured in the attack. Eight men have been charged with the murder of Cáceres, who was under state protection at the time after receiving numerous death threats. Two of the accused worked at the company leading the construction of the dam, Desarrollos Energéticos SA. Cáceres’ family and supporters have always suspected the involvement of state officials in her killing. Last year, a Guardian investigation revealed the existence of leaked court documents linking the planning of the murder to military intelligence specialists connected with the country’s US–trained special forces. Earlier this month, a report published by an expert group of lawyers concluded that senior managers in the company allegedly had a hand in her murder. The company has always denied any involvement. In response to the report, it said the company had never been involved in any violence and that information in the report had been taken out of context and “does not reflect reality”. The report was intended to create problems in the run up to the country’s elections later this month, it added. An independent group set up to investigate corruption in Honduras under the auspices of the Organisation of American States is scrutinising allegations of corruption in the award of contracts for the dam project. 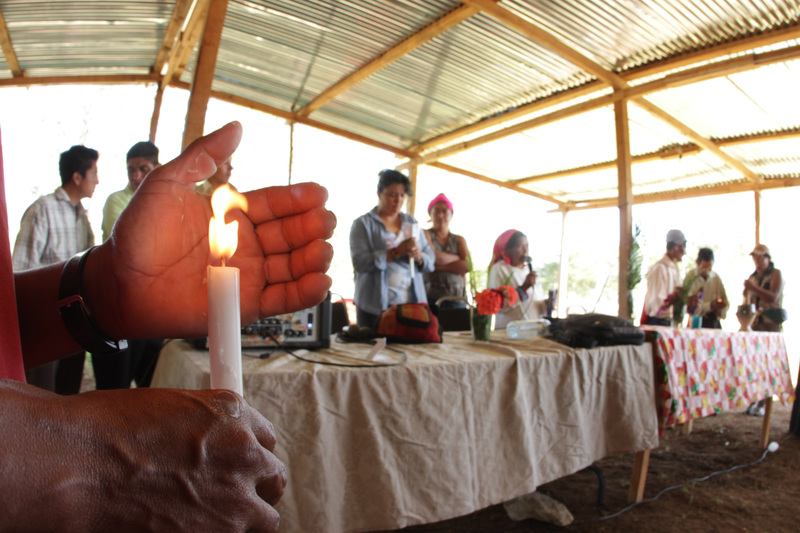 Since Cáceres’ death, Domínguez, 43, has joined other members of the Lenca indigenous community for regular meetings among the oak trees of the lush, mountainous region of Río Blanco. Together, they say prayers and light candles in memory of their lost friend. 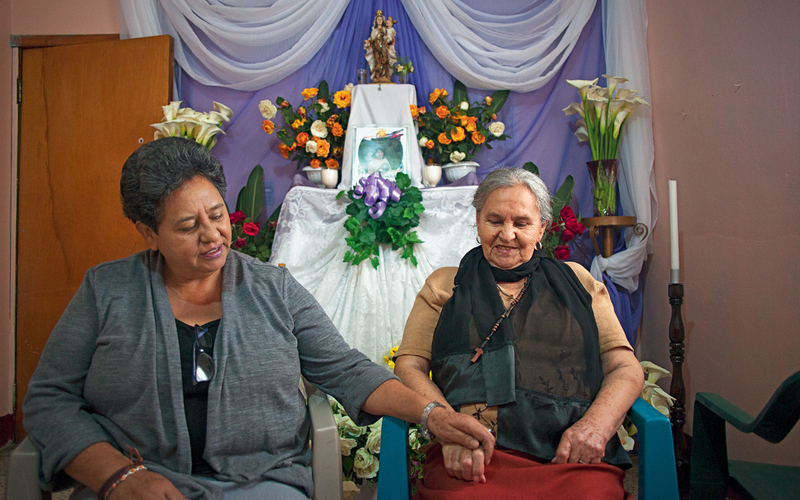 It is also where they gather to find strength for the twin challenge of fighting the dam project and striving to ensure Cáceres’ killers are brought to justice. While years of protests have brought construction to a halt, and resulted in funders discontinuing their support, the licence for the dam on the sacred Gualcarque river has not been withdrawn. The warehouses that stand empty along the road offer an ominous reminder that the project remains alive. Santos Domínguez helped set up a road blockade when trucks were first spotted trundling along the narrow, winding lanes of Río Blanco towards the planned site for the dam on 1 April 2013. The community has said it was not consulted – a legal requirement – before the company was granted the licence. But Santos Domínguez paid a high price for her actions. In the violence that followed when the police arrived to break up the protest, her brother was killed. She lost a finger and sustained cuts to her head from a machete. Her husband lost an eye. She is now wanted by the police and had to flee her home for a time for fear of being arrested – or made to disappear. She says harassment has got worse since Cáceres was murdered. She has had to keep her children off school after they had rocks thrown at them – by people “who know I was in Copinh” – while walking to class. Rosalina Domínguez Madrid, who is in charge of Copinh’s finances, has also experienced harassment since Cáceres’ death. “People have been asking for me by name. Unknown people, but we are assuming it’s people paid by the company,” she said. Domínguez Madrid said that Cáceres’ death threw the international spotlight on the battle for land rights in Honduras – the deadliest place to be an environmental activist, according to the organisation Global Witness. More than 120 activists have been murdered for trying to protect the land or environment since the country’s 2009 coup. Copinh member Tomás García was murdered just months before Cáceres, and most attacks have gone unpunished. Over the past eight years, the government has received a flurry of licence applications for hydroelectric, mining and agribusinesses projects. At the same time, there has been a crackdown on human rights. Many more activists say they have been threatened with violence, or have faced intimidation and even sexual assault by police, members of the military or those paid to keep activists out of the way. Women, who have been at the centre of the protests in Río Blanco, face the added threats of abuse from their own families and communities, as machismo culture often relegates women to the sole role of homemaker. Last month two Nobel peace laureates – Tawakkol Karman and Shirin Ebadi – visited Río Blanco to offer their support to the community and add their voices to the calls for justice for Cáceres. Santos Domínguez knows that peace for the Lenca in Río Blanco will not come until those who authorised Cáceres’ murder are behind bars and the land rights for her people are recognised. “Because we are poor they think we don’t know anything … But they are wrong because we are organised and we can protect ourselves from them,” she said. 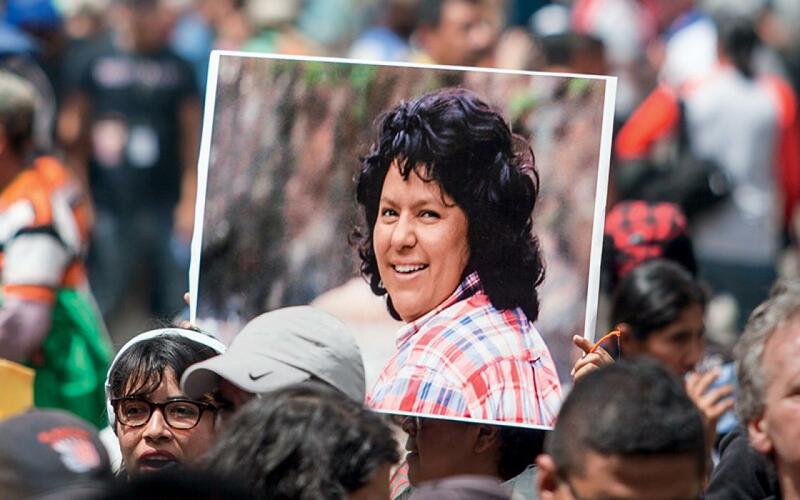 The murder of Berta Cáceres, an internationally acclaimed environmental activist in Honduras, briefly focused global attention on embattled grassroots efforts to protect indigenous lands from government-backed hydro-electric projects in the Central American nation. Cáceres, a recipient of the prestigious Goldman Environmental Prize, was gunned down at her rural home on March 3 in what appeared to be a targeted assassination. The killing sparked worldwide condemnation and allegations of the involvement of government officials and private entrepreneurs. While initially suggesting that the murder was a crime of passion, Honduran authorities have since arrested five suspects, including an Army officer and at least one employee of a company running a dam project that she opposed. In the meantime, two other activists affiliated with the same group as Cáceres — the Civic Council of Popular and Indigenous Organizations of Honduras — have also been murdered. The string of slayings has raised alarms about a possible systemic effort to target the group, which has been at the forefront of regional opposition to the government-backed privatization and exploitation of natural resources. Government officials have denied any involvement in the slayings and defended hydro-electric projects as necessary for generating electricity across the country. The latest victim was Lesbia Janeth Urquia, a 49-year old mother of three who was apparently hacked to death with a machete last week. Denying a political motive, prosecutors said this week that she was killed in a family dispute over an inheritance and announced the arrest of Urquia’s brother-in-law, the alleged plotter, and two men he allegedly hired to carry out the murder. But Honduran activists immediately rejected that account as a cover-up and suggested that Urquia was killed for publicly opposing a controversial hydro-electric project on the Chinacla River. He said the group would continue to push for thorough investigations of all three murders of its members and called for support from international organizations. Critics of various hydro-electric projects said they would cut off water and otherwise damage the lands of the Lenca people, Mayan descendants who constitute Honduras’ largest indigenous group. The activists allege widespread collusion in Honduras between government officials and large companies seeking to profit from hydro-electric and other projects affecting native lands. Olivia Marcela Zuniga, the daughter of Cáceres and an environmental activist herself, called for an international investigation into the three killings. The suspects arrested in that case “were poor people” and not the masterminds who planned and financed the killing, she said. 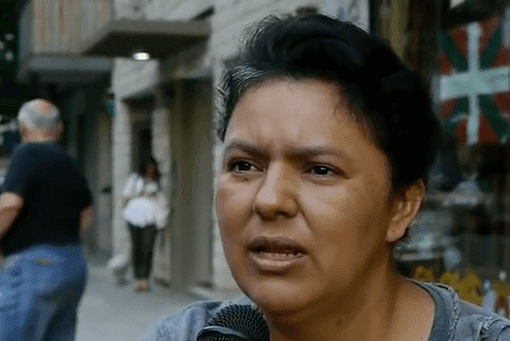 Before her slaying, Cáceres had received dozens of death threats because of her high-profile opposition to the Agua Zarca dam project on the Gualcarque River. Weeks after that murder, Nelson Garcia, another Honduran activist affiliated with the indigenous environmental council, was killed in what police have said was an apparent robbery attempt. Activists have rejected the official version and called for more investigation. 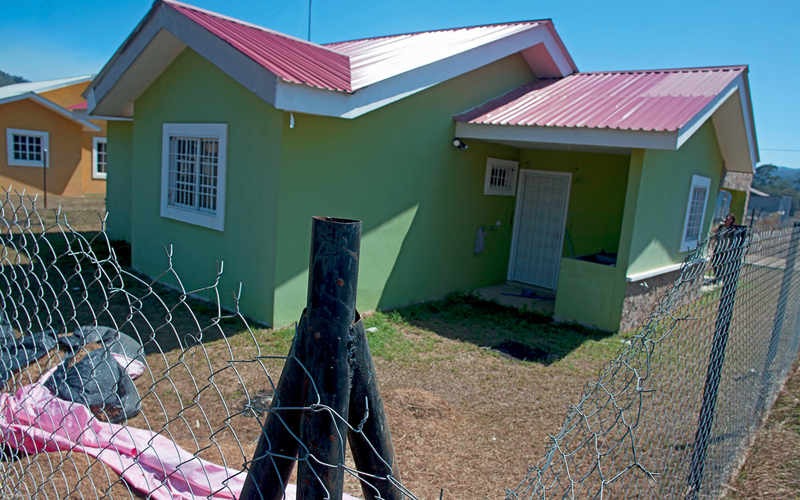 Urquia’s body was found last week near a garbage dump in the highland town of Marcala, west of Tegucigalpa, the capital. She had last been seen going out on her bicycle, her family said. Her head showed signs of trauma from machete blows, according to accounts in the Honduran media. Honduras has one of the world’s highest rates of murder. Many killings remain unresolved amid widespread gang violence, a proliferation of arms and allegations of official links to criminal bands. Global Witness, the London-based environmental advocacy group, labels Honduras the most dangerous nation for environmental activists. More than 100 activists have been killed in Honduras since 2010, according to the group. Sanchez is a special correspondent. It happened again in Honduras. Another environmental activist has been murdered. Yaneth Urquia, a 49-year-old mother of three, was a member of COPINH, an indigenous rights group that was co-founded by my aunt Berta Cáceres, who was also murdered for her activism. Authorities claim Yaneth’s murder was either a robbery gone awry, an extortion case, and/or a family dispute. Basically anything to make it seem like it wasn’t a politically motivated killing. Yaneth’s body was found near a garbage dump, with severe injuries to her head. It seems like a horrible repeat of what happened to my aunt. 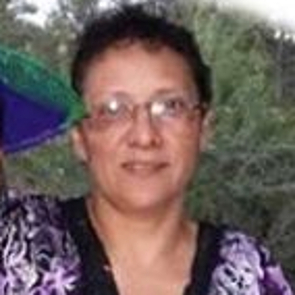 Hours after Berta was killed in her home last March, authorities claimed her murder was an attempted robbery. Then they said it was a crime of passion, or possibly some other type of power struggle. None of those theories are true. Today, there are five people in custody for Berta’s assassination, including at least one member of an elite Honduran Army battalion who received training from U.S. forces, according to media reports. But the intellectual authors remain free. Similar to my aunt Berta, Yaneth had been fighting against the construction of a hydroelectric dam that was being built on Lenca land without their consultation or approval. The dam project is owned by Arnoldo Castro, husband of Gladys Lopez, the vice president of the Congress and head of the ruling National Party. Here are two things that weren’t reported in local and international press. Yaneth’s murder, which happened in normally peaceful town of Marcala (population 30,000), was the fourth to occur there in a week. And, the day Yaneth was killed, Honduran President Juan Orlando Hernandez was in Marcala for a surprise visit—something that some people in town saw as a sign of official intimidation by the National Party. Yaneth’s assassination is part of a well-documented pattern of intimidation and harassment against those who stand up to business interests promoted by Honduras’ elite. Arnold Castro got his government concession to build the Santa Elena dam an hour from Marcala without ever consulting the Lenca indigenous people who have lived on the land for generations. Neither he, nor his wife, have been linked to her killing. Notwithstanding the fact that Honduras’ crime rate is one of the highest in the world, the string of murders is not related to random acts of violence. They are calculated acts of social control. An acquaintance of mine whose family lives in Marcala and is also an activist and organizer for indigenous and environmental rights tells me her family’s house has been shot at several times. It’s a clear message. Despite the overwhelming amounts of evidence of collusion and corruption within Hernandez’ administration, the U.S. continues its unabashed support for this criminal syndicate that calls itself a government. U.S. Ambassador James Nealon has even told local media that the U.S. “is proud to work with” President Hernandez. Well, I am Honduran-American, and that partnership doesn’t make me proud. Although the local population is overwhelmingly against the Los Encinos dam, their resolution is non-binding, and unlikely to deter government officials. Lenca communities in the western Honduran region of La Paz have voted overwhelmingly against a controversial hydroelectric dam in their territory against the construction of a hydroelectric dam, which sparked an Indigenous resistance movement following the 2009 U.S.-backed coup. Ninety percent of the 1,200 Hondurans who cast ballots in 15 pollintg places across nine communities Sunday voted against the dam on the Chinacla river in the municipality of Santa Elena. The Lenca Indigenous Movement of La Paz, also known as MILPAH, has been fighting for recognition of their land rights since 2010 when the redevelopment project by the corporation, Los Encinos, was approved without any community input. The struggle launched into the international spotlight last month, when local activist Ana Mirian Romero won the annual international Front Line Defenders Award for her commitment for fighting for human rights despite threats against her life. The communities consulted in Sunday’s vote also rejected the creation of a land register that would have pave the way for further division of Lenca territories. The vote comes after another member of MILPAH’s sister movement COPINH, Lesbia Yaneth Urquia, was murdered last week, just four months after internationally-renowned leader Berta Caceres was shot dead in her home on March 3. Another COPINH member, Nelson Garcia, was assassinated less than two weeks after Caceres. Romero and other MILPAH activists have also faced death threats and a slew of other personal harassment and intimidation as a result of her involvement in the movement. Leading up to Sunday’s vote, over a year in the making, MILPAH accused local officials, including the mayor of Santa Elena, of trying to frustrate their attempts to hold the consultation. The movement insisted that the “intimidating acts,” including Yaneth Urquia’s murder, would not stop the vote from going forward. Hydroelectric companies and other developmen5t projects began surfacing in Santa Elena and surrounding Lenca communities, following the 2009 military coup against former President Manuel Zelaya, which was supported by then-Secretary of State Hillary Clinton. That was the same time that Hondurans indigenous communities began experiencing an escalation of government repression. The Los Encinos hydroelectric project on the Chinacla river, a sacred site in Lenca spirituality and important for the subsistence of local communities, has also been controversial for its links to the country’s political elite. According to the human rights organization Rights Action, the dam is part of an energy project funded by Gladys Aurora Lopez, a lawmaker with the ruling right-wing National Party and Vice President of Congress. COPINH has specifically singled out Lopez — along with the Honduran government and military — for responsibillity in Yaneth Urquia’s murder and a “permanent source of threats” in La Paz by promoting controversial energy projects. But while the nine Lenca communities have ratified their rejection of the Los Encinos dam with a resounding “no” vote, the overwhelming precedent in the country suggests that the government will continue to violate the community’s internationally-enshrined Indigenous right to free, prior and informed consent for all development projects on their traditionally territory. COPINH and other Indigenous movements have repeatedly called for an end to all corporate projects on Lenca territory to “put a stop to death, impunity, and injustice” in Honduras. People who work for human rights, the rights of Indigenous communities, protection of our global environment, and social justice, are demanding justice after the murder of Berta Cáceres. She was killed in early March when gunmen broke into her house and shot her. It is abundantly clear to many Hondurans and international supporters and observers that her killing was political. Cáceres was the charismatic leader of COPINH, an organization begun in 1993 by Lenca communities in Honduras to promote their rights and protect their traditional lands, and to work with other Indigenous and popular organizations. In the three years before her murder, Cáceres led COPINH in actively opposing construction of the Agua Zarca hydroelectric dam across the sacred Gualcarque River that runs through traditional Lenca lands in western Honduras. For her work she was awarded the international Goldman Prize in 2015 for Indigenous environmental activism. Cáceres helped to bring the Lenca struggle into global awareness, delivering an impassioned acceptance speech upon receiving the award in San Francisco. In Honduras, the Lenca and other Indigenous communities are widely seen as the front line of defense of the environment and the nation’s natural resources. But Cáceres’ work also roused the fear and concern of those who wanted the dam as part of a larger economic development plan for Honduras that promoted foreign investment and large-scale resource extraction (mining, lumber, tourism, agribusiness) at the expense of hundreds of indigenous and peasant rural communities. These interests included the Honduran government and its powerful supporters, as well as U.S., Canadian, Chinese and other foreign interests. The Honduran company Desarollos Energéticos (DESA), with government support, held the contract for the Agua Zarca dam. The dam builders cleared a dirt road to the construction site through traditional Lenca land without asking Lenca permission. Honduras is bound by national and international laws and treaties, including the UN Declaration on the Rights of Indigenous Peoples and International Labor Organization Convention 169 that prohibit taking or using indigenous lands or resources without “full, prior, and informed consent” of the affected communities. The Lenca claimed they were never consulted about the dam or the road. The company, DESA, also ordered them to stop using the river that had been central to their lives for many generations. In addition to private company security guards, a unit of Honduran military guarded the company’s construction compound, as if to emphasize the government’s interest in completion of the dam. Beginning in April, 2013 and for more than four months, COPINH and the Lenca continued peaceful protest, sometimes leading processions or protest walks along the road, attracting Hondurans from other areas as well as international observers from the U.S., Europe, and Latin America. During one of these protests a Honduran soldier in the military unit guarding the dam construction compound shot and killed Lenca protester Tomás Garcia and seriously injured his teenage son, Alan. Blaming the victim or innocent third parties is a common strategy of oppression and control. Authorities accused Cáceres and two other COPINH leaders–Tomás Gómez and Auriliano Molina–of fomenting violence, and claimed to have found a gun in Cåceres’ vehicle. DESA officials accused the three of causing economic damage by delaying the dam’s construction. After a court hearing at which more than one hundred Lenca and others gathered in support of Cáceres, she was ordered to stay away from the area of the dam protests and from any other protest activities. She was later forced into hiding for a time as authorities briefly sought her arrest, and for months before her assassination she continued to receive death threats. She reported at least thirty-three to the authorities, she said, but they did nothing, even though the Inter-American Commission on Human Rights (an arm of the Organization of American States) had mandated the Honduran government to extend protective measures to Cáceres and other COPINH activists. After two months of widespread popular demonstrations and protests in Latin America, the U.S., and Europe, the Honduran judicial prosecutor’s office announced charges against four men in Cåceres’ death. The identity of the four is revealing of the forces arrayed against the Lenca. Government and news sources reported that three of the four were active or retired military officers, and two are or have been DESA personnel. Sergio Rodriguez served as engineer for the Agua Zarca dam. Douglas Bustillo is a retired military officer and former head of security for DESA. Mariano Chavez is an active member of the Honduran military, and Edison Duarte is a former military officer. Before her death, Cáceres reportedly identified at least one of these men among those who had threatened her. In addition to these arrests, there are calls for the investigation and arrest of the intellectual authors of the crime, since many believe the murder was ordered, or at least condoned by higher authorities in Honduras. DESA officials have denied any responsibility. In Honduras it is rare that prominent or powerful individuals are charged with crimes. A culture of official impunity allows the powerful literally to get away with murder. Impunity is the linchpin of the whole system of control and oppression. Some observers believe that because of the widespread and continuing concern and protests after Cáceres’ murder–concern that also aroused members of the U.S. Congress–the Honduran government was forced to show that it was treating this particular murder seriously and to bring credible charges. 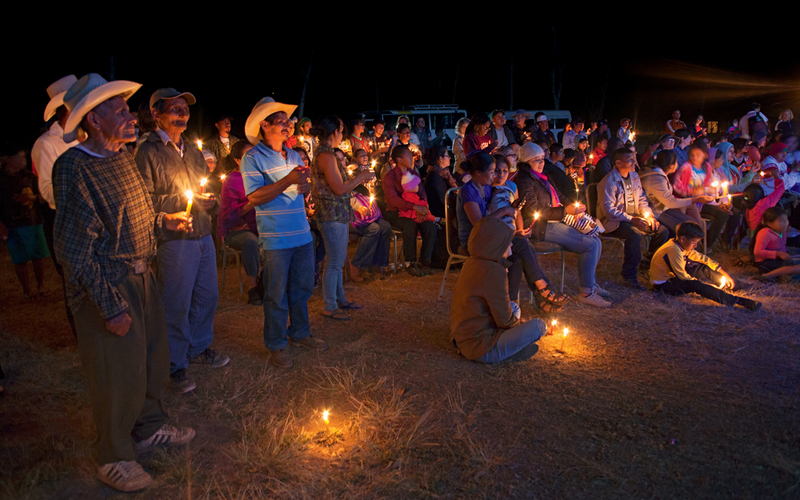 Since the killing of Cáceres, COPINH members have been subjected to ongoing threats and attacks. 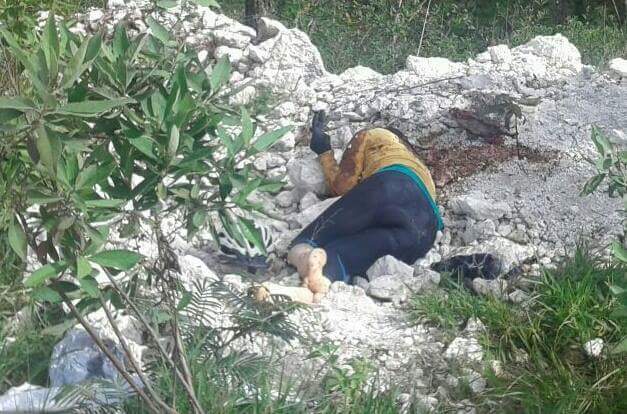 On July 6, 2016, the body of Lesbia Janeth Uruquía, 49, was found stabbed to death near the municipal dump in Marcala, western Honduras. Like Cáceres, Uruquía was the mother of several children. She was a COPINH member and a leader in the effort to stop construction of a private hydroelectric dam on the Chinacla River. This construction project was headed by Gladys Lopez, president of the ruling National Party and vice-president of the National Congress that had authorized the project. As of this writing, no one had been charged in Uruquía’s murder. Cáceres saw the conflict over the Agua Zarca and other such projects in the context of the support shown by then-Secretary of State Hillary Clinton for the 2009 coup against the government of Manual Zelaya. The coup is widely blamed for ushering in the current era of rampant resource extraction, violence, and repression in Honduras. In Hard Choices, Clinton writes that she advocated swift recognition of the coup and the post-coup government as an exercise in “clear-eyed pragmatism,” even as most of the hemisphere’s governments withheld recognition and demanded the restoration of the elected Zelaya government. There is a history behind this. In the early 1980s, the Reagan Administration sent the Honduran government a blueprint for economic development (popularly known as Reaganomics for Honduras) that emphasized turning Honduras into a country wide open to foreign investment and resource extraction. Honduran government plans almost exactly mirrored this, until the Zelaya government seemed to deviate from the plan by listening to the voices of the country’s rural, peasant, and Indigenous people. The 2009 coup ended that challenge by removing Zelaya. It appeared that rhetoric about democracy and human rights clashed with the model of economic development the U.S. needed in Honduras. Both the Agua Zarca project and the Chinacla River project are part of the larger national development plan that includes as an integral component the construction of hydroelectric dams across many of the country’s major rivers, including the Patuca (one of the largest Honduran rivers) that runs through the lands of at least three Indigenous peoples—Miskito, Pech, and Tawahka—in eastern Honduras. The electricity to be generated by these dams is intended, at least in part, to serve the needs of major mining operations in various parts of Honduras—mining projects (Honduran and foreign) that displace Indigenous and peasant communities without ever seeking their “free, prior, and informed consent.” Since the 2009 coup against Zelaya, the post-coup governments have granted a flurry of such mining concessions to U.S., Canadian, Chinese, and other foreign interests. Murder and community displacement are two costs of such “development” projects. Another is the inequitable appropriation and use of essential resources that local communities need. Geology and hydrology experts estimate that a medium-sized mining project such as some of those proposed for Honduras can consume as much water in a few hours as a rural Honduran family would consume in a year. Many Hondurans have long criticized this model of development. In 1980, Honduran Central Bank economist Edmundo Valladares referred to “the misery financing the model of development.” By contrast, World Bank president Jim Kim recently (April 2016) responded to the murder of Berta Cáceres in an address at Union Theological Seminary by expressing regret at her murder, then adding, “You cannot do the kind of work we are trying to do and not have some of these incidents happen. We just have to be honest when it happens, admit it, and then try to face it as best we can.” Was he implying that the killings of Indigenous and other leaders were an acceptable price for constructing the model of development? The World Bank has denied any involvement in the Agua Zarca dam project. With its charismatic director eliminated and ongoing threats to those that remain, COPINH relies more than ever on the support of the international community. Lenca often express gratitude for the interest and support of foreign individuals and the global community. Observers from the United States, Canada, Latin America, and Europe have been present at Lenca and COPINH events. Recently, however, several international observers were public denounced by government officials and in media with questions such as, “Why is this foreigner present at a COPINH event?” In at least one case, an Italian human rights observer was deported after a campaign to discredit her. Foreigners can help the Lenca and other Indigenous people of Honduras by becoming aware of the corporate and government interests and investments that their own countries have in Honduras. This extends also to foreign development and security aid and the conditions and accountability in which this aid is used. Some members of the U.S. Congress are beginning to demand this of their own government. Assassinated: Lesbia Janeth Urquia Urquia, 49 years old, mother of two daughters and one son. On July 6, 2016, the body of Lesbia Janeth Urquía Urquía was found stabbed to death, dumped at a place called “Mata Mulas” (Kills Mules) by the Marcala municipal dump, in the western department of la Paz. Lesbia was at the forefront of a community struggle to oppose the illegal imposition of a privatized hydro-electric dam project along the Chinacla river in Marcalas, La Paz. This project is headed up by Gladys Aurora Lopez (president of the governing National Party; vice president of the National Congress) and was “authorized” by the very same National Congress without free, prior and informed consent from the affected communities. Lesbia was at the forefront of community efforts to carry out a public, legally binding community consultation … when she was assassinated and her body dumped in a place for all to see, a message to anyone involved in efforts to oppose this project of the vice president of the National Congress and president of the National Party. Since the 2009 military coup, hundreds of Hondurans have been assassinated for political reasons. Until the international supporters of the corrupted, repressive Honduran regime stop doing business as usual with the economic-political-military elites, benefitting from repression, corruption and impunity, this will not stop. Until the U.S. government suspends all military “aid” and economic relations with the regime, this will not stop. Until the Canadian government rescinds the “free trade agreement” it improperly (illegally?) signed with the military backed regime and corrupted congress of Honduras, this will not stop. Until there are proper media and political investigations into how the U.S. and Canadian governments supported and legitimized the June 28, 2009, military coup and post-coup regimes in Honduras, this will not stop. State repression and killings are not accidental in Honduras; this how the elites do business with their international business and political partners. Courageous groups across Honduras, along with Rights Action and many groups across the U.S. and Canada, will not stop documenting and denouncing the endemic killings and repression, corruption and impunity, and the direct complicity of the U.S. and Canadian governments and companies, as well as the World Bank, Inter-American Development Bank, and other global investors and companies. The company behind the controversial Agua Zarca hydroelectric project on Lenca land, Desarrollos Energeticos S.A., better known as DESA, signed a contract with USAID partner Fintrac in December 2015, less than three months before Caceres was murdered in her home on March 3.According to Central America-based freelance journalist Gloria Jimenez, the funds were destined for a USAID agricultural assistance program in Western Honduras.